AFLENZ, Austria, and SINT-NIKLAAS, Belgium, 5 September 2016. Newtec – a specialist in designing, developing and manufacturing equipment and technologies for satellite communications – today announced it has teamed up with Telekom Austria Group after EUMETSAT ordered an upgrade of EUMETCast, its primary dissemination mechanism for the near real-time delivery of satellite data and products. The first phases of the project will make an additional 18 MHz of satellite bandwidth available on Eutelsat 10A, located at 10° East. By mid-2017, this will be upgraded to 36 MHz and made available to all end-users. 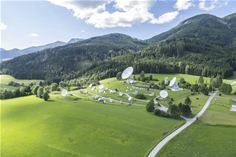 As with the current uplink, the additional transponder will be established at Telekom Austria Group’s teleport in Aflenz, with a back-up uplink available at its teleport in the so-called “Vienna Arsenal” area in case of weather influence. Due to the good performance of the current DVB-S2 service, the second transponder will also use the same technology and coding – the Newtec MDM6000 Satellite Modems. The benefits gained by EUMETSAT come as a result of the modem’s unique onboard technologies – Equalink® 3 and Clean Channel Technology® (CCT). Developed by Newtec, Equalink 3 is a revolutionary linear and non-linear pre-distortion technology designed to compensate for the effects of imperfections in the filters and amplifiers of the satellite, providing breakthrough performance gains. Meanwhile, Newtec’s CCT, with 5% roll offs, provides further significant satellite efficiency improvements compared to the current DVB-S2 roll-off. Newtec modems have been ordered for both of Telekom Austria Group’s uplink locations and will be placed in a one-for-one redundant set-up. The advanced uplink and downlink data integrity monitoring implemented for the current service will also be upgraded. With this advanced monitoring – which is based on the Newtec NOP1900 Multicast Software (formerly known as TelliCast) and developed and implemented by EUMETSAT – it is possible to follow all data packets from the EUMETSAT office in Darmstadt, Germany, to EUMETCast receiving stations across Europe. This makes it possible to identify any packet losses in the complete transmission chain and where the loss occurred, making troubleshooting and future fault prevention much easier and quicker. Today there are more than 4000 EUMETCast subscribers.